Listen to The Boss Show’s lively podcast on this topic. 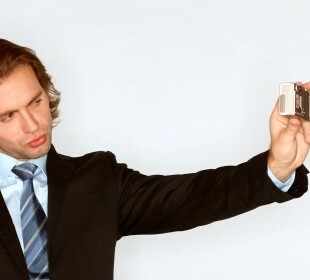 Author Joel Stein – a millennial himself – presented all sorts of data showing millennials to be more narcissistic than previous generations at their age. I’m a Baby Boomer. Maybe I should I be crotchety and agree with the indictment of Gen Y’s. But I don’t. Look – all of us were the “me” generation at some point. It’s a law of nature: we’re biologically and culturally programmed to individuate ourselves from our parents, our families, and our larger communities at various stages as we develop. Just look at a 2-year-old. Or a 15-year-old. Or a mid-life crisis. If we’re healthy, we go through some often painful developmental stages. Developing means turning our backs on old ways of being and forging new ones. For 20-somethings in any generation, that involves a focus on “me” that looks like narcissism. To decide who I am to become in the next stage, I have to explore my own needs, my own journey, my own uniqueness. The conventional indictment of Millennials also sees them as disloyal, demanding, and entitled. “A lot of what counts as typical millennial behavior is how rich kids have always behaved,” Stein says in the Time cover story. Okay, but “rich kids have always behaved” how? Like they have options. Now, Millennials – whether they’re wealthy or not – are behaving like they have options. Is that a bad thing? This option-retaining attitude has in part been forced on them by a culture that no longer can guarantee them a job, let alone job security for decades, like so many Boomers and our parents experienced. If we don’t have job security – if there’s virtually no chance of staying in one job for 40 years and earning a nice pension – you have to keep your options open. And why would anyone commit to 40 years in the same job anyway? What’s the purpose of choosing loyalty over flexibility? Why would anyone settle for a boring life if they’re brave enough to take a more adventurous path? So millennials are willing to take more risks than we or our parents did. So they’re willing to risk uncertainty and instability for the sake of following their interests. So they piss off a few of us old codgers in the process. What are we to tell them: “Oh, you’ll regret it when you’re 65 and without a pension…”? In her response to the Time cover story, Huffington Post Blogger Simone Sneed says simply that millennials are seeking purpose in their lives. They’re “attempting to redefine success … by aligning their passions with their day-to-day existence.” We Boomers promised to do that, too. But we got lost, and conservative, along the way. More power to ‘em. Give those millennials a break. You’re just jealous. They’re doing what they’re supposed to do, and in some ways, they’re showing the rest of us a more organic, more creative, more exciting, more evolved way to be at work.